Communicating with millennials is the key to success on any team. Learning to communicate with millennials and all other generations take special skills. This Millennial Rockstar, Caterina Malerba has built her career on making herself the go-to person for everything from team communications, to project management, problem solving and everything in between. AMANDA HAMMETT:Hey, this is Amanda Hammett and this is the Millennial Rockstar podcast. Join us with this rock star, Caterina Malerba, where she shares with us why communication is key, especially when you're dealing with teams. And how leadership can actually use communication to build trust and loyalty among us millennial employees.  Hey, this is Amanda Hammett, I am the Millennial Translator because I help companies attract, retain, and engage top millennial talent. 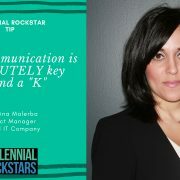 And on today's episode of the Millennial Rockstar Podcast, we have Caterina Malerba! Caterina, welcome to the show! CATERINA MALBERA:Thank you! I'm so excited to be here, thank you! AMANDA HAMMETT: Fantastic! So, Caterina works for a super-high-tech company that you have all heard of, I am totally sure, but Caterina, tell us a little bit about your role right now. CATERINA MALBERA: Sure, so as you mentioned I work for a large IT company as a project manager in the virtual sales, I support the Americas, which include Canada, Latin, and the US. I've been with this particular company for just over three years, and... every day is a new challenge, and I'm so excited to be in virtual sales, where it's the digital motion, a lot of millennials and a lot of... Creative space to see, y'know, all great things that are coming out of it. AMANDA HAMMETT: That's awesome, that's awesome. I think that you're in a really, really interesting, cool, but fast- moving space. CATERINA MALBERA: It really is. Every day is something new, and, y'know, new direction, it's just really cool to be close to that pulse. AMANDA HAMMETT: Very, very, very cool. So tell us a little bit about your career path. How did you get from where you are, 'cause how long have you been out of college? CATERINA MALBERA: So University... so I'm located in Canada, where, it's been, oh my gosh. Is it approaching 20 years? Almost 20 years. You're aging me. AMANDA HAMMETT: Oh, I'm so sorry. CATERINA MALBERA: That's okay. So I started actually in the banking industry, doing account management, and I realized that I really loved, although I loved the client interaction, I liked the behind-the-scenes, putting projects together and moving things along, and it really, but the sales experience really did help me sort of see things start to finish. From there, I just progressed into a services-based industry for a family-run business, which I got to really experience different areas of a corporation that maybe you don't get to in a larger business. And I got to wear a lot of hats, and I really learned quite a bit there. I was there for seven years, and you really just, you learn the ins and outs of how a business runs, and that brought me to my current company. And I've been a project manager now for over ten years, three years with the current one, and it's just been, I've had three roles in three years. And it's, every... You bring the same skill set to it, but it's just a different way to approach things, and different projects, and every day is a great day. For me anyway. AMANDA HAMMETT: That's awesome, that's awesome. So tell us a little bit about some of the stumbling blocks, because I would imagine that going from banking to this smaller family-run business to this huge juggernaut that you're with now, I mean, there have been probably some ups and downs. So can you give us some examples of some of the stumbling blocks you faced? CATERINA MALBERA: For sure. I mean, I look at... So, I never say no, that's sort of my thing. I don't say no to any opportunity. Which, sometimes you get ahead of it, or you just don't have the skill set, or the know-how, which I didn't in certain situations. So you really do either fall flat on your face, or you learn from it, and it works. So, those are the stumbling blocks, kind of knowing when to say no, or be like, can I find out more information? But I just always want to learn, and always want to be involved in things. And I just feel like from those experiences is when I learn the most. CATERINA MALBERA: I mean, my workload is high! But it's good. AMANDA HAMMETT: Just about, you are just like, go gogo, all the time. CATERINA MALBERA: Yeah, and he, y'know, just to fan-girl for a minute, I do work for Sylvain Tremblay, and Yong Kim. And they're both, there's fire drills feels like every, every other day, and we've got a few hours to complete it on time, and they really just taught me, sometimes even though you don't know everything, just pull in who you need to do it, and we just get the job done. I've learned so much from them in just under a year of being with this team. He just, he's just hilarious the way that he can just picture it, and you learn so much, and he presents on four slides, but he's got 80 in back-up. He knows that it could go any other way, and those are just experiences that I learned so much from, and it really prepares me for the next fire drill that we usually get every day. AMANDA HAMMETT: That's awesome, I can totally see him doing that. CATERINA MALBERA: Yep. He, I mean we, that's just how we approach things. And it serves us well, I have to say. And I've learned so much from him. Cuz it really, the conversation never stays on track. It always veers to the left or the right, and it's good to have those back-ups. AMANDA HAMMETT: No, absolutely, and that's the thing that we mentioned earlier, that you're in this incredibly fast-moving space, and you don't really know what direction it's going from one day to the next, I mean you guys are leaders in that field, by far, but it's still up to you guys to chart the part for everyone else to follow. CATERINA MALBERA: I mean we hope so right? It's exciting. It's exciting to be like that, and like I said, I don't like to say no to anything, because you just never know where that path will lead you. CATERINA MALBERA: So it's really, really cool. AMANDA HAMMETT: Very cool, very cool! Well since we brought up your boss, your bosses, tell us a little bit about what your bosses current, or maybe in the past, do in order to keep you motivated, to keep you productive, because you do have an incredibly heavy workload. I mean, I know just from knowing what your team does and accomplishes, and who your leadership is, I know that that workload is just through the roof. So tell us a little bit about what they do to keep you productive, to keep you engaged, and to keep you waking up going, yay! CATERINA MALBERA: For sure. So I've been pretty lucky working for this company and working throughout my career, I've had great managers and leaders that, that I have worked for, I did start at the current company working for Jason Bedinger, and I only worked with him for a few months but he, in those few months he kept me engaged, gave me creative, a little bit of creative space to make a work stream of my own and sort of take off with that. So I really learned a lot. Working with Sylvain and Yong, they do that and more. They really just... They let you just go out and do what you need to do to come back, and then we work together and they have different perspectives on it, and it's just something, that sense of purpose? CATERINA MALBERA: That keeps me engaged, and knowing that what I'm doing counts to move the needle, or tell the story, or whatever it may be. And that's what I love about them, it's not a check a box, it's not a "okay, "give me this data, but I'm just gonna file it," it's really keeping me engaged and, I mean, if that's not there for me, it's not a self-motivator. If my work is not, doesn't have a purpose, it just isn't self-motivating. So that's what they do to sort of wake me up in the morning and keep me up at night! CATERINA MALBERA: Whichever way you'll go, yeah. AMANDA HAMMETT: That is so true, I can totally see that. I've mentioned this to you before, but I'm gonna tell you this, and actually, your boss, Sylvain and I were on a panel together a couple days ago in Houston and I actually said this out loud, and I think he was a little embarrassed, but I'm gonna say it again because it embarrassed him. But when I first met him months and months and months ago, I really got the impression in having conversations with him that he viewed his success through the successes of his team and their individual successes and them being proud of those successes. Now, I didn't get the impression that it was all about his ego, it was more about the team and how it made the team members individually feel, because at the end of the day, we all know that's gonna turn around and make the team even more productive. CATERINA MALBERA: I mean, this team, I've seen opportunities where they've passed up because they're just not ready to leave under his leadership and see where he's gonna take the work direction. CATERINA MALBERA: So, it really is a testament to him, whether he knows it or not, he is really a great leader, and he does invest in his people. And we want, in turn, to do right for him. Everything we're doing is to make him look good. CATERINA MALBERA: And working for Yong as well, who is his Chief of Staff, you really see that camaraderie and that collaboration, and it's really just great to see when everyone's on the same team. And working toward the same goal. So yeah, definitely fans of both of them. AMANDA HAMMETT: That's awesome. Well, I got to hear a lot about Yong on this trip as well, so I'd love to meet him in person too. CATERINA MALBERA: Yeah! Oh great, yeah, we're setting it up. AMANDA HAMMETT: So tell me a little bit about, is there anything as far as company perks, or anything that your current company or one in the past has done, that makes you think, man, that makes me feel special, that really makes me feel good, is there anything you can think of? CATERINA MALBERA: Um, for sure! I mean, the company does have global give-back days. They let us volunteer for causes that are near and dear to our hearts and they pay for you to go to that. Like, they give you the time off, and they pay for you to go to that, or they match it, which is, for a large corporation that is global, they have no relation to where I personally am at London, Ontario, but it's just a great thing to see that it sort of comes home, and that's a great perk for me. Personally, I get to work from home, just because of my location to the hub. And that to me is really important, at this stage in my career, just that I'm able to be home and get to pick up my kids, but also I'm working. Just to have that ability to do that and still do my job, for me is, loyalty right there. AMANDA HAMMETT: So you mentioned a few big buzzwords in the millennial world. You mentioned loyalty, which, y'know, millennials are often accused of not having. But you also mentioned, you didn't use the word, but you mentioned the ability for flexibility and some work-life balance. AMANDA HAMMETT: I mean that is, just for me, that is amazing that you have that opportunity, but it is so, so important especially as we change as a society to, everybody's pretty much a dual-working family these days, and you have kids, they have needs and wants! CATERINA MALBERA: Yep, and it proves that you don't have to be seen in an office working the traditional nine to five to be able to do your job. And I think that has a lot to do with the trust that my team and my managers and leaders have in me, and they know that I'm not sitting here in front of a TV doing that, that's what-- or going to the gym, that is the traditional mindset but you really do, it's almost like, you just make the most of the time that you can sit in front of the laptop and you get things done. And then you also have that family balance, so. CATERINA MALBERA: Balance, I am still working on, admittedly, I mean I would love to just sit here and do all the work, we're getting there. AMANDA HAMMETT: It's always a work in progress. CATERINA MALBERA: Yep. Yep. There are times I'm still up at the late hours. But it's also a passion project for me. I love, it really is, the loyalty comes from the engagement and from my leaders and from my team, and it doesn't feel like work for me. So. AMANDA HAMMETT: So you actually mentioned a little something I'd like to touch on, and it's a little skew off of something, but you mentioned that they have trust in you. They trust that you're doing what you're supposed to be doing. And obviously, they can see what you're producing, and things like that. But I feel like trust in a team is super important. And that's something I talk a lot about, and spend a lot of time with people helping them develop, but you guys have it. What do you think was that, what do you think it is, that has really helped that along for your entire team? CATERINA MALBERA: Communication. Absolutely. If there's a lack of communication, or you're not collaborating well, then things tend to be disjointed, and it just doesn't work, and I feel that when... Even when you're on different views, or whatever it may be, you leave them at the door, and you just kind of collaborate and come to a mutual project conclusion, or whatever it may be. And that, I think, in turn, builds trust. If you didn't have that, I have worked on project teams in the past where the communication level was low, and things were just disjointed, and it just didn't work. Everyone is busy, but we really do need to communicate, and also you do need that time together as a team. We're pretty lucky, we get to meet at least once quarterly, and really bond and have closed-doors planning sessions, and it really, just having that trust level amongst each other, we really do work together, even though teams are so sporadic, some in Latin America, some up here in Canada, and some throughout the US. So just being able to come together regularly, and work together, but then in the interim, having that open channel. CATERINA MALBERA: Regardless of how that may be. AMANDA HAMMETT: Right, awesome. So since you guys are all spread out, do you guys do like a lot of video chatting, or how do you guys do that, handle that? CATERINA MALBERA: Absolutely, yep. Video chatting or calling, there is Jabber, I'm a caller. I love to pick up the phone. AMANDA HAMMETT: Very un-millennial of you…..
CATERINA MALBERA: I know, I know! Sometimes to type, I'm like, ugh! Just one more word, but I do love that facial interaction, as soon as I call someone it is on video, which is nice. Just to be able to see that. And sometimes you need that, to go beyond written word, is to have that emotional connection that you can, you can communicate on things. AMANDA HAMMETT: Absolutely! We are hard-wired as human beings to create that human connection, and sometimes you just don't get it in email, or any kind of instant messaging. CATERINA MALBERA: No. Absolutely. Especially, y'know, it's a pet peeve of mine when you're working through a session or whatever and someone answers, "K." Like oh my gosh, what does that mean? So yeah, so communication is absolutely key beyond the K.
AMANDA HAMMETT: I'm gonna write that down. CATERINA MALBERA: It is so true! It is beyond, it just makes me laugh every time. AMANDA HAMMETT: Okay. Is there anything-- that is hilarious. Is there anything that you wish that companies knew about hiring younger employees? CATERINA MALBERA: For sure. Definitely give them the benefit of the doubt. Let individuals prove what they're worth beyond, you know, as stereotypes. Give them the creative space to own a work stream. Don't make it so prescriptive, definitely give general guidelines of what's expected but let them own it. I feel that a lot of times people have different ways of approaching things, but when you're pigeonholed into just doing it one way, it really stifles you, and that's when you tend to lose top talent, at least that's what my experience has been. So definitely just give them a little bit of rope. Let them make things their own. And you'd be surprised, I mean, I've been able to work on different projects with-- the same projects, but different teams, and it's the same milestones. And the way some people approach it is unbelievable. It's just like, oh my gosh, that's really great. We get to the same outcome, just different ways, and it's really, really great to see. AMANDA HAMMETT: That's awesome. I so love that, I so love that. Perfect, well, this has been a fantastic discussion, thank you Caterina, thank you so much. AMANDA HAMMETT: If possible for our audience, if they wanted to reach out to you on LinkedIn, would that be possible? AMANDA HAMMETT: Okay, perfect! Well, I will include the link to Caterina's LinkedIn profile in the show notes, but thank you so much for being on the show, Caterina, and thank you to our audience! And we will see you in the very next episode. Bye! CATERINA MALBERA: Thanks, everyone, thanks Amanda. AMANDA HAMMETT: Thanks so much for joining us for this episode of the Millennial Rockstar podcast. If you are looking for even more information on millennials, get some free resources, visit my website at amandahammett.com, the link is below, it's amandahammett.com, there you can download a free millennial employee engagement guide that will give you all kinds of tips and tricks on how to keep those millennials engaged on a day-to-day basis! Because we all know that millennials who are happy at work are more productive at work.